Margie Newman is an award-winning public relations strategist who founded Intesa after serving as a media relations and social media manager for The Pew Center on the States, a division of The Pew Charitable Trusts, in Washington, D.C.
Before that, she was a principal at the Tennessee-based public affairs firm, Hall Strategies, where she directed media relations, crisis communications, and online reputation management for an eclectic mix of clients including the Smoke-Free Tennessee Campaign, Southern Festival of Books, Middle Tennessee State University Political Poll, The Urban Child Institute, Krispy Kreme Doughnuts and the Nashville Predators National Hockey League franchise. Margie is a former press aide to Tennessee Gov. Phil Bredesen, serving as assistant for communications to the governor after his 2002 election. She later directed communications for the Governor’s Books From Birth Foundation. A graduate of Auburn University and proud mother of two, Margie was named in 2008 among PR News’ “Top 15 to Watch,” a national award recognizing 15 of the country’s most outstanding public relations professionals. She is a member of the YMCA of San Diego County board of directors, the LEAD San Diego board of directors (IMPACT ’15 & INFLUENCE ’17), and is a member of the San Diego Regional Chamber of Commerce Public Policy committee. Margie was recognized as one of San Diego’s “40 under 40” by SDMETRO Magazine in 2016, named among the San Diego Business Journal’s 2017 Business Women of the Year, and recently was named the International Association of Business Communicators San Diego 2018 Communicator of the Year. 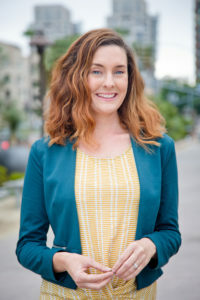 Maddy Kilkenny manages day-to-day client activities and is responsible for working closely with clients and project teams to develop and implement government and community relations strategies. 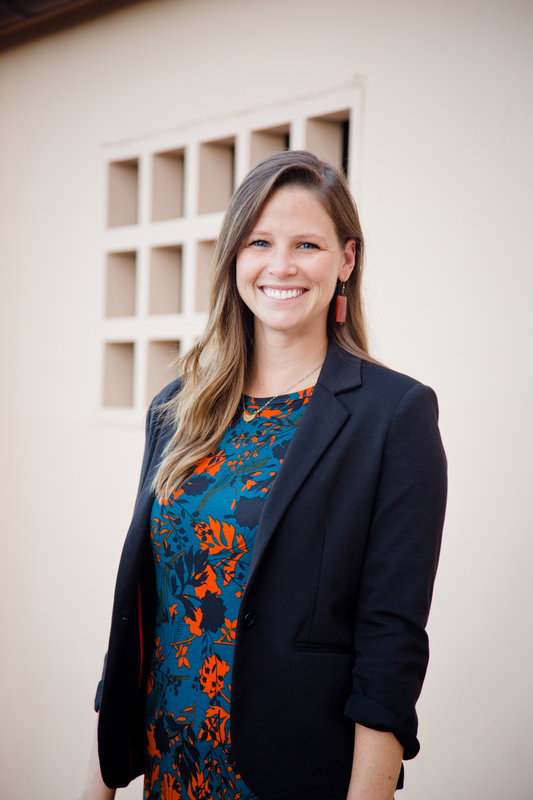 Maddy has extensive experience working with local government at all levels in San Diego. She spent six years as Vice President of Government Relations at the Clay Company where she worked with clients including Microsoft, Motorola, Kaiser Permanente, and many others in a variety of areas including land use, healthcare, and public safety. Prior to her work at the Clay Company, Maddy spent 11 years at the County of San Diego, where she was a Senior Policy Advisor to Supervisor Greg Cox, focusing on health and public safety policy issues, community outreach and special events. During her time in Supervisor Cox’s office, Maddy crafted policy to improve the lives of our region’s foster children, maintain critical Juvenile Justice funding and programs, and she helped the struggling InfoLine transition to what is known today as 2-1-1 San Diego. Maddy serves on the board of directors for the USS Midway Museum, and the board of the San Diego Young Leaders (an initiative of the San Diego Regional Chamber of Commerce). In 2016, Maddy was appointed by San Diego Mayor Kevin Faulconer to the Civic San Diego board of directors. A native San Diegan, Maddy and her husband Sean are proud parents to young sons, Logan and Owen. Matthew Morse is a digital strategist who has led numerous technology projects for a variety of non-profit, government, and for-profit organizations. Matthew has worked with dozens of high profile non-profit organizations, directly managing the development of websites and smartphone applications as well as structuring the digital strategy and team structure for large organizations. Prior to that, Matthew managed a major technology initiative for The Pew Charitable Trusts, which partnered with state governments and Fortune 100 companies including Google, Microsoft, and Facebook to serve millions of users across the United States. Matthew has experience developing a variety of web technologies, including WordPress and Drupal websites, iOS and Android mobile applications, RESTful web APIs, Google Analytics as well as a number of other tools and applications. Matthew graduated from Vassar College and holds advanced degrees from the Maxwell School of Citizenship at Syracuse University. He loves hiking and has traveled to over 30 countries. Haley (Peterson) Wonsley manages Intesa’s North County projects, and serves a variety of Intesa’s other government relations and community outreach clients. Before joining Intesa, Haley spent six years with the County of San Diego, serving as Director of Community Affairs for County Supervisor Bill Horn. During her tenure at the County, Haley built solid relationships with local, state, and federal partners, as well as with the non-profit and private sectors. Specifically, Haley coordinated special events and military and veteran policy issues. She also coordinated and guided the Comprehensive Economic Development Strategy (CEDS) for the North County Region, and administered $2.7 million in grant programs each year. Haley is a graduate of CSU San Marcos Leadership North County program. She earned a credential from the California State Association of Counties (CSAC) for excellence in Senior Leadership for County Government, is a member of the San Diego Young Leaders, and was named one of Vista Chamber of Commerce’s “40 under 40 best and brightest.” She graduated with honors from the University of California, Santa Cruz, and studied abroad at the University of Melbourne, Australia. Haley loves the beach and has traveled to 11 countries. The rest of the world is on her bucket list. Mindy Wright is the newest member of the Intesa team and brings with her a deep and diverse background in media relations, social media, and non profit communications. 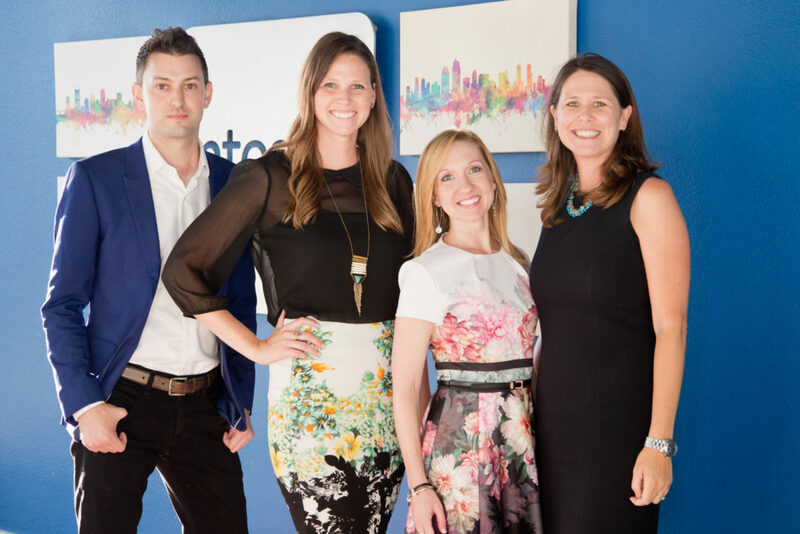 Before joining Intesa, she spent years as an in-house communications professional for several leading nonprofit organizations in San Diego County. From writing marketing copy for the National Conflict Resolution Center, to handling crisis communications at Center for Community Solutions, to managing international corporate partnership campaigns at Helen Woodward Animal Center, she’s lead communications projects ranging from local to global scales. She’s honed her social media chops launching highly successful digital engagement campaigns for emergency fundraising, creative marketing promotions, for-profit endeavors, and even a dog surfing event or two. Mindy works regularly with San Diego television news networks as well as major local publications and radio shows. Her leadership on national media campaigns has yielded valuable relationships and placements with dozens of national media outlets including The TODAY Show, People Magazine, In Touch Magazine, Discovery Channel, NBC, and Parade Magazine. After graduating from San Diego State University with a BA in International Security and Conflict Resolution, she earned a certificate in Mediation from the Università di Bologna in Rimini, Italy. She’s achieved a conversational proficiency in Spanish and continues to study French. When her nose isn’t stuck in a book, she can usually be found chasing her husband, daughter, and two dogs around one of San Diego’s stunning trails or beaches. Our bench is deep. From web design and brand development to crisis communications and public policy media strategy, our responsive, first-rate team spans coast to coast.